As an 11/2, your life purpose is to become an inspired healer, artistic force, and spiritual catalyst. The Master Number brings a higher vibration and an intensity that is undeniable. It “ups the ante” substantially, and means you’ve come with a greater spiritual purpose, however you define it. You could feel high strung when working with a Master Number as your Life Path. It may feel like there’s a constant push and pull to do more and be better, sometimes to the point of distraction. You might also notice that you hold higher expectations for yourself, even when others can’t see those feelings cropping up for you. A Master Number ultimately means you’re here to “master” your life. It indicates you will have some intense growth experiences and even more significant strengths. Sensitive, intuitive, supportive, detail-oriented, patient, cooperative, diplomatic, artistically creative, and psychically gifted. Resentful, narrow-minded, childish, manipulative, indecisive, self-centered, dependent, overly sensitive, or addictive. How can you take your “wounded healer” identity and evolve it into a creative and inspired healing path for yourself and for others? As an 11/2, you may experience intensely challenging circumstances in your life, but you’ll also come out on the other side stronger, more enlightened, and ready to help others who are struggling with similar issues. At times, life may not be easy, and yet your journey will be profoundly gratifying when you tap into your high-level of artistic creativity and psychic gifts. The contribution you make to the universe comes through the wisdom you provide for others, which is almost impossible to quantify. You must learn to trust that the “butterfly effect” you have on people is immeasurable, and ultimately you change people’s lives through your loving heart, intuition, and artistic expression. You’re the “Wounded Healer” and you’ll move through intense experiences toward healing, whether it be personal, health, emotional, or the whole gamut. Given this, it’s possible you’ll come into your full power as a Master Number 11/2 Life Path later in life—into your 50’s and beyond. It takes a while to get enough experience under your belt to find your passionate focus. Be patient and know that you’re here for higher-level service in the world. It may not be an easy ride—yet it’ll be an amazingly gratifying process. Your tendency as a dreamer (rather than a doer) can be balanced by a concerted effort to ground yourself in the day-to-day or material world. Master Numbers conflict with themselves. 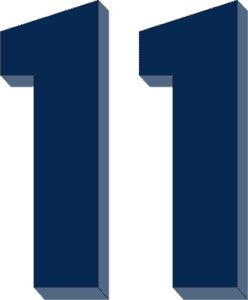 For instance, the 11 is a double 1—all about the self, creativity, initiation, independence, innovation, and self-confidence. Yet the foundational energy for the 11 is the 2—which is all about others, partnership, loving group dynamics, and being supportive behind the scenes. If you’re on an 11/2 Life Path, you might feel ever-so conflicted. When you understand the demands the Master Numbers place on you, you can begin to work with yourself in more effective ways, harnessing all that gifts you have to offer without crashing and burning in the process.